Lecturer and Intellectual Property expert in The City Law School, Dr Luke McDonagh, comments on the late Prince Rogers Nelson’s control of his copyright and brand. The sad news that Prince Rogers Nelson - one of the most talented and influential musicians of the last four decades - passed away at the age of 57 on April 21st hit hard. As soon as the news broke, Twitter was immediately set abuzz by mourning fans sharing the hashtag #Princegonetoosoon. As a long-term Prince fan, I coped with the sense of loss by cueing up the 100 or so Prince songs I have on my iPhone. However, many other fans who flocked to Spotify and Youtube in search of his music were left disappointed: apart from Jay Z's artist-friendly - but relatively expensive - Tidal service, Prince kept his music off streaming and video websites, largely because of copyright concerns. Indeed, while Prince's extraordinary legacy in the musical arena is unquestioned, and almost without peer, less well understood are his struggles both with the ownership of his music and with the way his persona was represented by his record company. 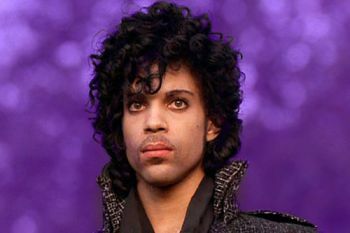 At the outset of his career in the late 1970s, Prince signed a long term record contract with Warner Bros. Crucial to Prince was that this contract gave him total artistic control over his music, something rare at the time for a brand new artist; and he took full advantage, going on to compose, produce and record many albums virtually single-handedly, playing every instrument except trumpet and saxophone. Yet, naive at the time to the business side of music publishing, Prince accepted the industry standard term that the copyright in the master recordings of his soon-to-be classic albums like 1999, Purple Rain and Sign O' The Times would be owned by Warner Bros. This fact would come back to haunt Prince later on. Industry savvy artists like David Bowie and U2 did not agree to this term in their record contracts, and as a result they owned the copyrights over their master recordings throughout their careers. As a result, during the 1980s and 1990s, they were able to secure higher royalty payments as well as keep a degree of control over their music's presentation and reproduction. When in the early 1990s, Prince finally woke up to what he had signed up to, he went to war with Warner Bros., declaring himself a 'slave' to his record contract. The legal distraction sapped Prince's energy from his music, and his popularity suffered as a result; but in the process Prince was finally able to terminate his Warner Bros. record contract, paving the way for him to own his future copyrights, and thus control all future recordings. His great unhappiness at the legal ramifications of what he had signed up to in his early years explains Prince's more recent reticence to allow his music to be put on streaming sites like Youtube and Spotify: from the mid-1990s onwards Prince did everything in his powers to keep control of his copyrights, keeping his music mostly offline, except for his own website, which allowed him in 1996 to be one of the very first artists to sell his music online directly to his fans, an innovation later followed by many acts including Radiohead. Although it allowed him to keep control over his music online, Prince's hard line copyright policy also led to some farcical legal results - in a famous 2008 US copyright case Lenz v. Universal Music Corp Prince and his music publisher were found to have violated copyright principles by not considering whether a mother's posting of her children dancing to 20 seconds of Prince's 'Let's Go Crazy' on Youtube was an example of 'fair use', a verdict later upheld on appeal. 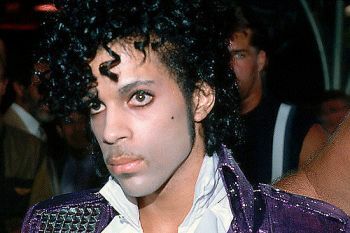 Around the time of his copyright battle with Warner Bros., Prince's deep personal unhappiness also led to a radical change in his outward persona: gone was the irreverent, lovelorn, genre-bending Prince of the 1980s and early 1990s; instead what emerged was a frustrated and antagonistic 'artist formerly known as...' who went so far as to change his name to an unpronounceable trademarked 'lovesymbol' (a merger of the gender symbols for man and woman). By adopting this symbol as the legal representation of his public persona, Prince radically changed the way artists brand themselves. Although Prince later took back his original name, he kept this symbol as a key part of his branding, playing a lovesymbol-shaped guitar in concert, and putting it on all sorts of merchandise including everything from t-shirts to perfumes. While other artists had used shapes and letters in their marketing before Prince - consider Van Halen's 'VH' logo or the Beatles' apple shaped logo - none had ever made themselves into a symbolic brand: in this, much like his music, Prince was a true innovator, and for this reason, along with everything else, he will be greatly missed. A royalty is a payment to an owner for the use of property, especially patents, copyrighted works, franchises or natural resources. A royalty payment is made to the legal owner of a property, patent, copyrighted work or franchise by those who wish to make use of it for the purposes of generating revenue or other such desirable activities. In most cases, royalties are designed to compensate the owner for the asset's use, and are legally binding.